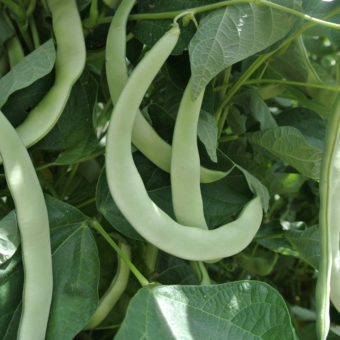 Phaseolus vulgaris. Tan Speckled. 90 days. 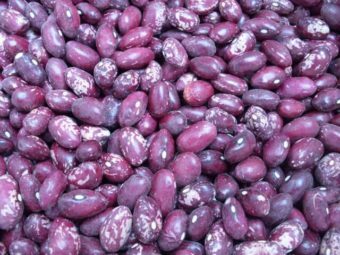 These very large (XXL), round, speckled beans have a rich tan and purple-red color. Hands down the largest seeded bean in our collection other than favas and runner beans. 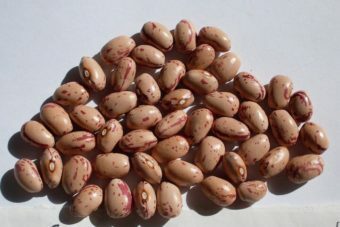 The already large beans double in size when cooked, making them even bigger. 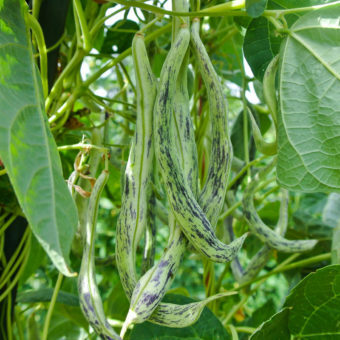 Large pods are nice for hand harvesting and processing, either as a fresh shelling bean or dry. Texture when cooked is reminiscent of delicious, creamy potatoes. We sourced Khabarovsk in 2007 from Gerhard Bohl in Germany who told us it came from a fresh market in the city of Khabarovsk, Siberia in 1990. Aka, Chabarowsk.